Anatomy of the torso revisited. This is the second installment to my small 8.5″x11″ sketch sheets. I used the similar approach with Riven Phoenix using a general proportions scale. From there I used actual reference from anatomy and figure drawing books. For reference book list, please see previous post on the skull. I will also do a larger scale of the torso to get clearer details of the muscles. Its been a year or so since I worked along with the Riven Phoenix Figure Invention series. I decided to re-visit anatomy and study from several anatomy and figure drawing books. 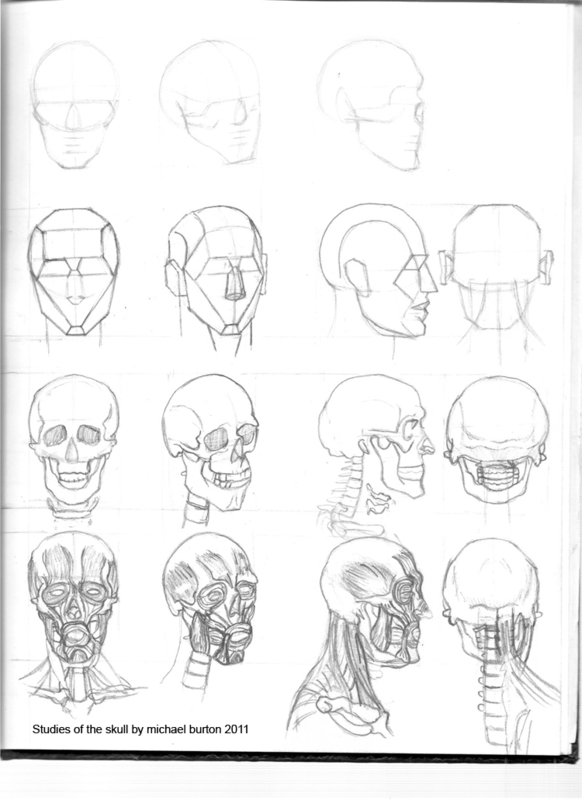 I feel this time around I’m more familiar and experienced with studying and understanding the head. My goal is to be very fluid and consistent with my anatomy studies; and enough understanding and mastery to teach it, and excel in my concept drawings and illustrations. Moving forward, I decided to do a study of the skull from several views. 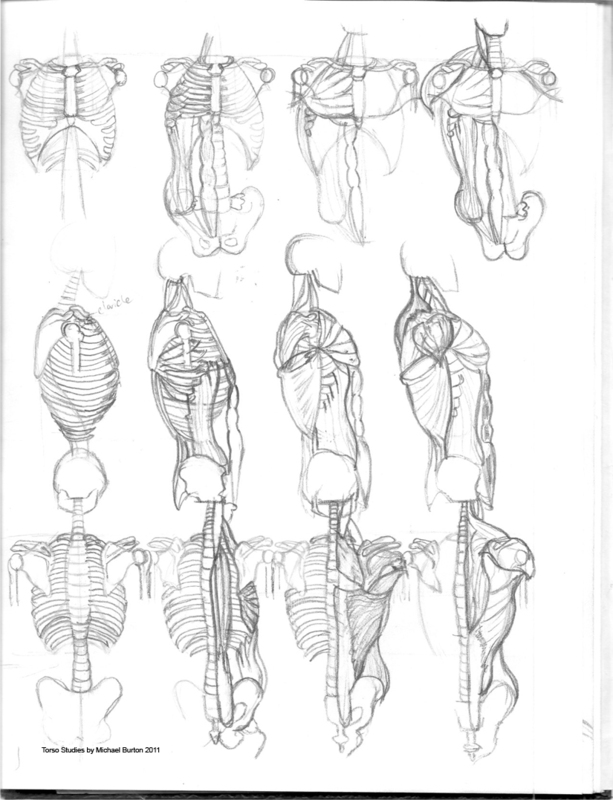 The muscle drawings were not as detailed as I would have liked to illustrate, considering all the studies were on a small 8.5×11 sketch sheet. I plan to do a large, and clearer detailed studies of the muscles and skulls soon. One last note, I also improved on the form and extruding the skull(especially the side view) as the earlier studies of the skull were a bit to narrow and short for the back half of the skull. Book Resources:The Human Figure-an Anatomy For Artists by David K Rubins, Figure Drawing For All It’s Worth by Andrew Loomis, Figure Drawing:Design and Invention by Michael Hampton. To see the earlier studies follow this link. You are currently browsing the Urbanrockwell's Blog blog archives for December, 2011.